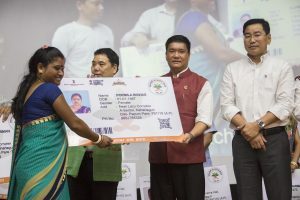 Arunachal Pradesh Chief Minister Pema Khandu on Sunday dedicated the Chief Minister Aarogya Arunachal Yojana (CMAAY), a universal healthcare scheme of the State Government to the people of the State coinciding with the nation-wide launch of ‘Ayushman Bharat – Pradhan Mantri Jan Aarogya Yojana (PMJAY)’ by Prime Minister Narendra Modi. The Chief Minister in his speech said that the State’s health care scheme will be dovetailed with the Centre’s PMJAY scheme with Rs 50 crore earmarked to provide cashless treatment of Rs five lakh per family per year. He said the State’s healthcare scheme will provide coverage to those beneficiaries left out in the PMJAY scheme. About 88,928 families as per 2011 Socio Economic Caste Census (SECC) in Arunachal are eligible for PMJAY scheme out of 3.05 lakh families. The CMAAY scheme will provide healthcare coverage to remaining two lakh families, which will include all state government employees, tribal families and non-APST permanent resident, said the Chief Minister. To enroll with the scheme, a person has to log onto www.cmaay.com website or use the Aarogya Arunachal – a mobile app to register themselves using Aadhaar information. The software will automatically detect whether the person is eligible under PMJAY or CMAAY scheme. Besides enrolling online and through the government hospitals, the Chief Minister said beneficiaries can also register with the healthcare schemes during the Jan Sunwai Sammelan or the ‘Sarkar Aapke Dwar’ programme being carried out by Deputy Commissioners every month. 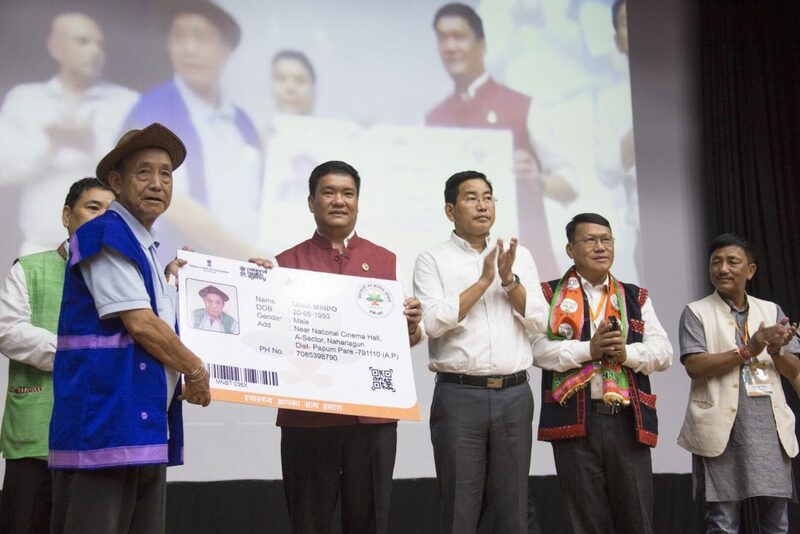 Khandu said about 14000 beneficiaries have already enrolled with the PMJAY-CMAAY scheme in Arunachal and 38 people are going through pre-authorization where 21 claims have already been raised after the discharge of the patients. He said the state’s CMAAY scheme was in ready mode months before the formal launch of PMJAY. The state’s healthcare scheme has been redesigned and necessary changes incorporated, as the earlier Chief Minister’s universal health insurance scheme became failure due to various technical and implementation issues. The present CMAAY scheme offers health coverage in assurance mode instead of earlier insurance mode. Also the health coverage amount in the present scheme has been increased to Rs five lakh from the previous Rs two lakh. Later in the programme, the Chief Minister along with Health Minister Alo Libang and Sports Minister Dr Mohesh Chai gave away the health insurance card to the beneficiaries. Also present on the occasion were Raga MLA Tamar Murtem, Ziro MLA Tage Taki and Mariyang MLA Olom Panyang.